1. FTTC (Fibre To The Curb/Cell) is mainly for residential service, ONU telecommunications equipment installed in the side of the road junction box, through the coaxil cable extending from ONU transmission CATV signal, twisted-pair copper networks to transmit voice and fibre optic splice mode signal. 2. FTTB (fibre to the building) service object has two types, one is an apartment building home users, the other is the commercial building companies or business units. ONU devices are generally placed on the bottom into a building (such as the basement), where apartment buildings may be FTTC ONU extension; while commercial buildings because it is a company or business office services enterprises, so that the network transmission performance requirements are higher, network stability and security requirements more stringent. 3. FFTH (Fibre To The Home) optical fibre directly extended to all home users, all-digital network services, to provide users with a varitey of life and enterainment services, such as a doctor at home, online shopping, video on demand, remote training. 4. FTTD (fibre to the desk) refers to the fibre completely replace the traditional copper twisted-pair transmission medium extends directly to the user terminal (such as office computers, printers, etc. ), the user terminal to achieve full network access through fibre, improves network transmission bandwidth, extending the transmission distance, and enhance the stability of the network and information security. The main impact of the test fibre system performance parametres – decay, in addition to the quality of their products with the relevant cable, the most important is the construction and installation process. 1. Fibre polishing method: through on-site hand-grinding, with epoxy adhesive curing, the connector assembly steps to complete the cable connection. Now the basic fibre polishing method should not be adopted, because this way the construction workers demanding technical level, and for the present single-mode systems, Gigabit multimode networks, grinding mode is difficult to achieve, unstable performance. 2. Fibre splicing method: it works by fibre alignment system to align the ends of optical fibers, the use of high-temperature high-pressure arc discharge tip of the principle and performance of fiber-optic high temperature melting, so that fibre splicing together to obtain low loss, low reflection fiber optic fusion splice. Fibre splicing method most widely used at this stage, the most suitable for application in a large number of relatively concentrated fibre termination, especially in the wiring between the application of the cabinet. 3. Fibre Optic Splice method (also called mechanical fibre splice): The whole process does not require cold then hot welding machine, suitable for relatively small number of core optical fibres, optical fibre connecting geographically dispersed, especially suitable for the application in the FTTD. performance and reliability. However, if the conventional optical fibre splicing manner, since the heat-shrinkable sleeve has a length 6 ~ 7mm, the bottom panel 86 of the cartridge mounting space is not deep enough, it can not guarantee performance of the fibre splice and fibre bend radius requirements may result network communication is unstable. Fast fibre optic connector with fibre embedded in the factory, without gluing and sanding, simple and convenient. Process does not require the entire cold then hot melt machine, greatly reducing the complexity of fibre termination, saving fibre splice time and improve the efficiency of construction. Fast fibre optic connector with a simple construction and installation requires only a crimping tool to completer fibre optic splice, easy to use and short trainning period; and cold connection equipment investment cost is small, as FTTD solutions to improve the cost-effectiveness. Fast fibre optic connector construction process does not require an active device, suitable for office construction for harsh environments, especially in pre-construction project, most of them are not powered site environment or to take power inconvenient places. Fast fibre optic connector can be repeated production, improve the utilisation of fibre head, significant cost savings. 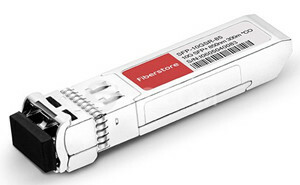 Fast fibre optic connector are available in SC and LC connectors, multi-mode OM2, OM3 and singlemode OS2 Gigabit systems to choose from. Assembly tool (fibre optic cleavers, fibre cable strippers, aramid scissors) and the product material (connector, tail cap, assembly fixtures, 0.9mm cable gripper) the preparation, as shown in Figure 1. The connector is fixed on the assembly tool, as shown in Figure 2. Dipped in pure alcohol, using fibre-cleaning paper bare fibres, as shown in Figure 4. Optical fibre fixed on the holder, as shown in figure 5. Using the fibre optic cutter to remove excess length, as shown in Figure 6. The gripper assembly tool in a guide groove, ensuring the end of fibre alignment U-shaped parts of the connector shown in Figure 7. Loosen the clamp clip, in the middle of the holder, slow to move forward, until hear the “pop”, as shown in figure 8. Open all clamps and lock, remove the connector, shown in Figure 9. Fitted with tail cuff, cold connection completed, as shown in Figure 10. Fast fibre optic connector as ease of installation and flexibility, more and more customers, are widely used in fibre to the desktop FTTD solution. This entry was posted in Fiber To The Home and tagged fibre cleaver, fibre optic communications, fibre optic connector on July 18, 2013 by Admin.